Company founder, Hadia Debs Ghandour, grew up and was educated in Japan, then France and Lebanon. She became a reporter for Japanese public television on NHK. Later she worked for the prestigious Christie’s Fine Arts. Such a varied background has equipped her with the interest and ability to pursue Yuki’s core values. 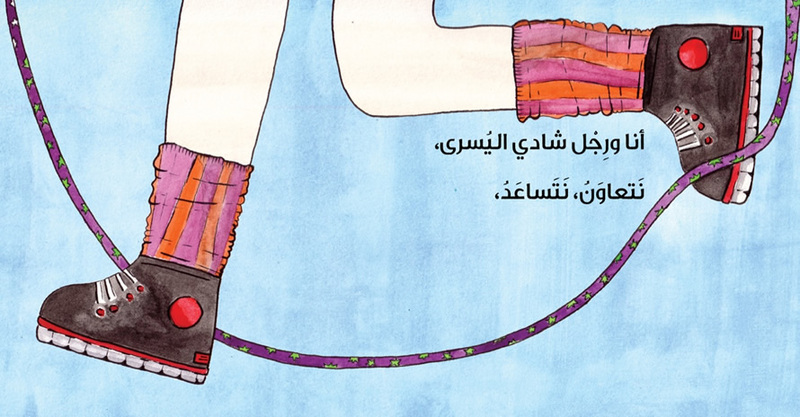 Yuki Press was established in 2004 to fill a gap in the market for distinctive Arabic books for children. Since then it has also branched out into English and French. The company’s philosophy is to achieve excellence and beauty in all its publications, which are characterised by superb quality and design. Innovative illustrations are combined with state-of-the art print and production technology to achieve Yuki’s visually high standards. Yuki generates its own ideas and storylines, working closely with chosen writers and illustrators to develop and refine the word-image impact and create original, stimulating books to fire the child’s imagination while underpinning his education. Consulting with educational specialists and child psychologists is an important part of the production process.